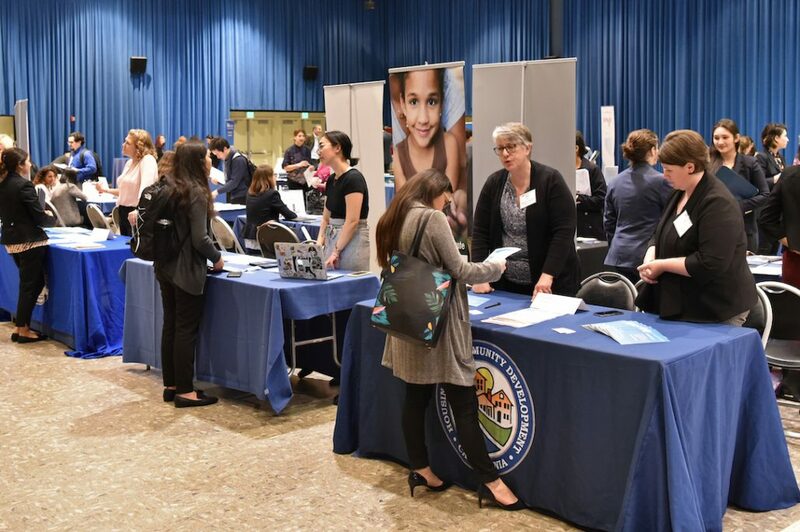 More than 200 UCLA Luskin students and graduates got a chance to connect with potential employers at the annual Job and Internship Career Fair on Tuesday, Jan. 29, 2019. 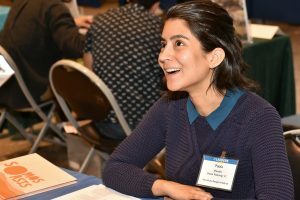 Held at the UCLA Ackerman Grand Ballroom, the fair drew more than 60 employers, many represented by UCLA Luskin alumni who had returned to recruit graduates from all three departments — Social Welfare, Urban Planning and Public Policy. 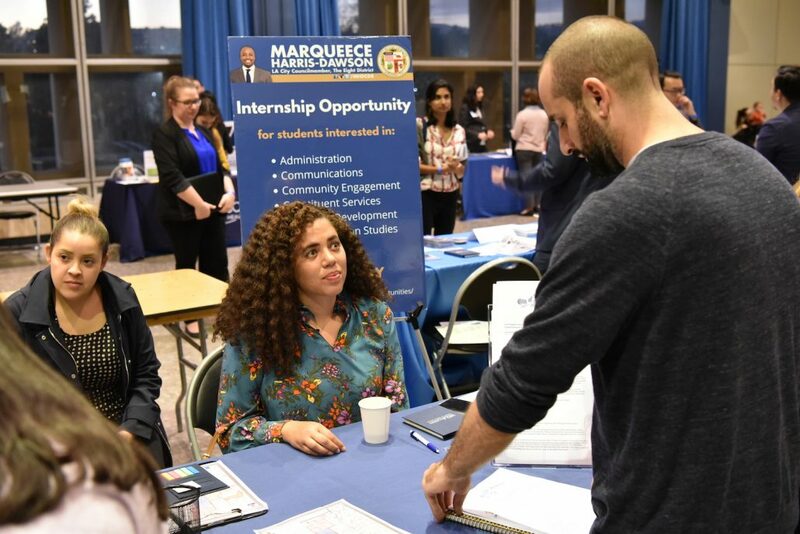 Barbara Spyrou MPP ’17 of the Los Angeles County Office of Child Protection, who had attended career fairs during her years at the Luskin School, said it was different being on the other side of the table. 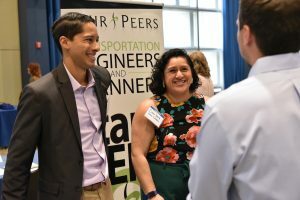 Recruiters from a wide swath of industries came to UCLA looking for talented, passionate employees and interns. 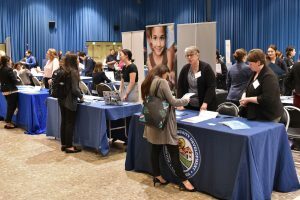 Graduate students and alumni looking for full-time jobs, internships and fellowships gathered at the fair ready to network. 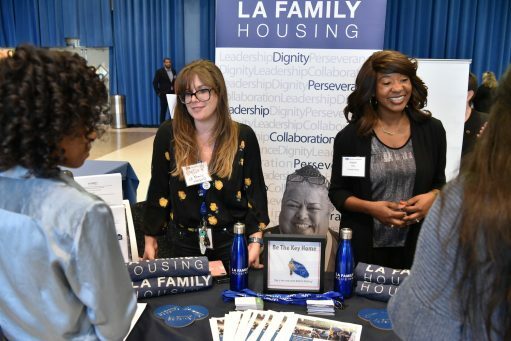 Krystal Sims of LA Family Housing, which provides homeless services and real estate development, came to the career fair to fill both full-time and internship positions. Within the first 30 minutes, she had already spoken to 10 to 15 candidates. The UCLA-based WORLD Policy Analysis Center was represented by Rachel Bleetman and Brianna Pierce. Bleetman said the enthusiasm level was high at the fair, and Pierce said she was impressed by the UCLA Luskin crowd. “We’ve met some great students, and they seem really excited about the next steps in their careers,” Pierce said. A series of workshops held before the fair prepared the students to clearly communicate their goals and make a strong first impression. The fair’s 62 employers represented an increase over previous years, so the event had to be moved to a larger venue, said Executive Director of External Programs and Career Services VC Powe. “It was bursting in there because there were so many people,” including a striking number of alumni representing employers, she said. View additional photos on Flickr. Diplomat in Residence Heather Joy Thompson gives UCLA Luskin students an inside look at the Foreign Service. Photos by George Foulsham. Diplomacy at Work Luskin School-based Diplomat in Residence Heather Joy Thompson speaks to students about the prospects and joys of working for the U.S. State Department. Students looking to pursue careers in diplomacy had a firsthand look at working in the field during a lunchtime talk with Diplomat in Residence Heather Joy Thompson. In her talk, titled “Careers in Diplomacy: An Insider’s Perspective,” Thompson walked through her own journey to the diplomatic corps as well as what it takes to join the Foreign Service. The first step is taking the Foreign Service Officers Test, which has both exam and essay components, Thompson said. Applicants with high enough scores are invited to Washington, D.C., for an in-person interview that can take an entire day. 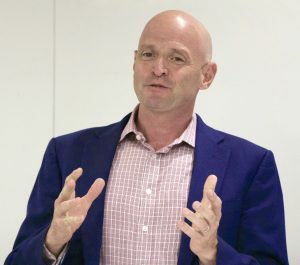 “This was the toughest interview I ever had in my life,” Thompson told the crowd of about 40 undergraduate and graduate students at the May 24, 2018, talk. Successful applicants are placed into a pool of prospective diplomatic officers. If selected for assignment, they spend six to eight weeks in what Thompson calls “Diplomacy University” in Arlington, Va., learning foreign languages and developing professional skills for their careers in the service—all the while receiving salary to do so. 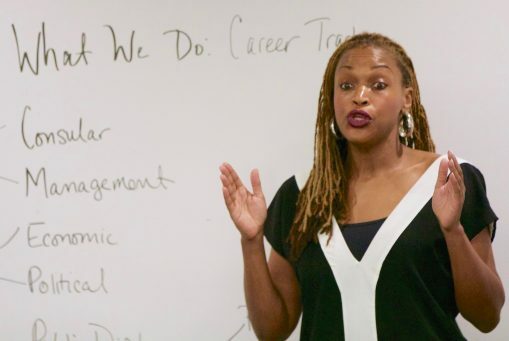 “I have never heard of a job where you are in school full-time and don’t have to report to an office but still get paid,” Thompson said. Prospective diplomatic officers choose a desired track, including economics, politics, management and media relations, Thompson said. They remain in the pool for up to 18 months, after which they must apply again. 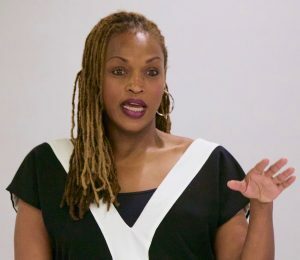 Thompson said her path to the Foreign Service was “unique.” Originally a Peace Corps volunteer in Burkina Faso, Thompson’s experience working in a region with no plumbing or electricity forced her to do a “deep dive” into her education. “In a lot of ways, it settled me in a way that other positions probably couldn’t,” she said. Diplomat in Residence Heather Joy Thompson shares tips on how to enter the Foreign Service. Following the Peace Corps, Thompson earned her law degree but decided against pursuing a career at a firm. A mutual acquaintance introduced her to a diplomat who steered her toward the State Department. Thompson also once worked for Sean “Puff Daddy” Combs after winning a YouTube competition to be the rapper’s assistant. In the Foreign Service since 2008, Thompson has been stationed in Johannesburg, South Africa, and Washington, D.C., and most recently worked as an economic officer in Mexico City’s U.S. Embassy. At the UCLA Luskin talk, the final event of the 2017-2018 Senior Fellows Speaker Series, Thompson said the current political environment is somewhat challenging to the goals of her team. Nonetheless, she believes it is important to persevere. On the whole, Thompson said she very much enjoys her work as a diplomat. Thompson is this year’s Diplomat in Residence for the State Department’s Southern California region, which includes Hawaii and Nevada. 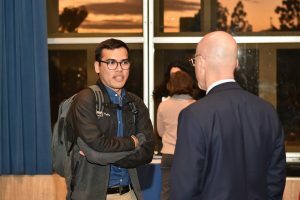 Diplomats in Residence are housed at UCLA Luskin, where they often engage with students through the Senior Fellows Program. 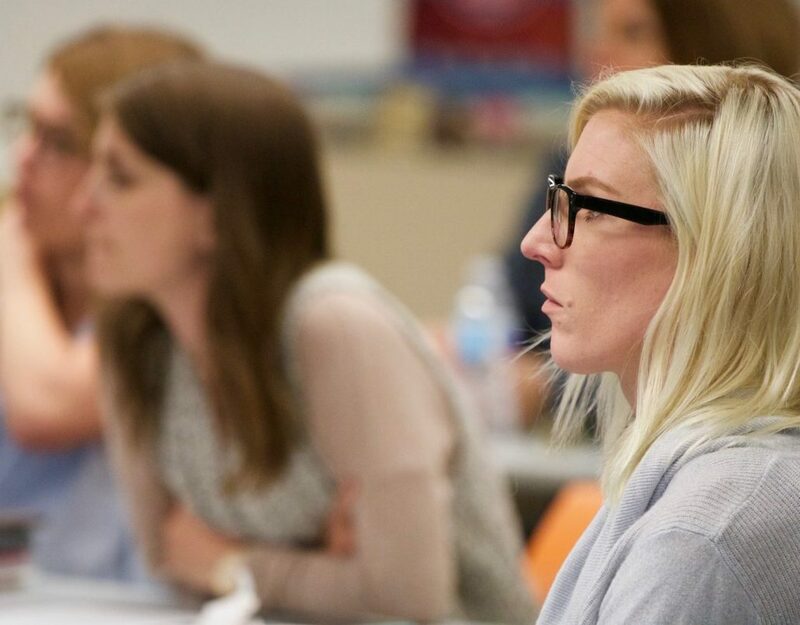 For over 15 years, the Senior Fellows Leadership Program has been helping to prepare students for careers as change agents in the world by pairing them with leaders in the field as mentors. 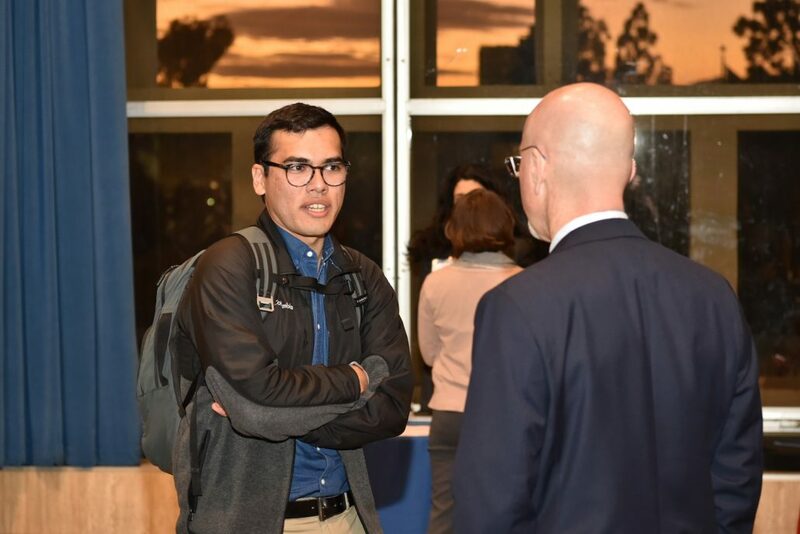 Senior Fellows, who volunteer their time to meet with students across the UCLA Luskin School of Public Affairs’ three departments, work in diverse fields. Their backgrounds range from policy makers and business professionals to nonprofit executives and community leaders. This year, the program welcomes six new senior fellows to the class. This includes: A. Barry Rand, CEO of the AARP; William Fujioka, Los Angeles County Chief Executive Officer; Mary McNeil, Senior Operations Officer and Team Lead of Global Governance Practice at the World Bank; Thomas Epstein, Vice President of Public Affairs, Blue Shield of California; Michael C. Camuñez, President and CEO of ManattJones Global Strategies; and Michelle G. Los Banos, Diplomat in Residence and foreign officer with the U.S. State Department. For VC Powe, executive director of External Programs, the impressive resumes of the new senior fellows is a testament to the reputation of the program. 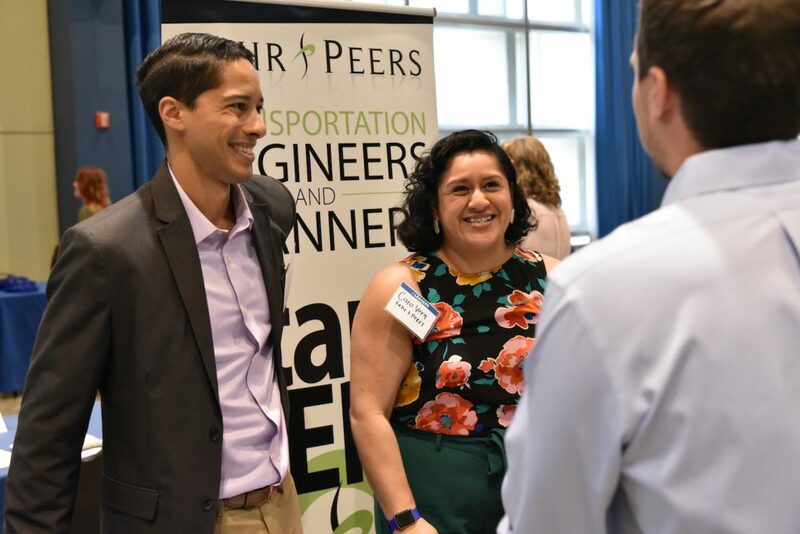 Through year-long, one-on-one mentorships, students learn leadership and professional development skills, while learning about opportunities for internships and networking. Not to mention gaining solid career advice from people with highly successful careers. City of Long Beach Police Chief Jim McDonnell has been a senior fellow for two years. His choice to participate another year is in part because he says meeting students benefits the mentors as well. Students bring a “fresh set of eyes” that can help a “mentor tap into fresh approaches they haven’t thought of before,” he said. In addition, mentorship can help to train the next generation of professionals in various fields that are making an impact. McDonnell highly encourages his peers to participate in the program, which he says is “a model for what can be done when you take some of the best and the brightest and ensure they are going in the right direction in the field you are in.” He was the keynote speaker at this year’s annual Senior Fellows Breakfast where students meet their mentors for the first time. 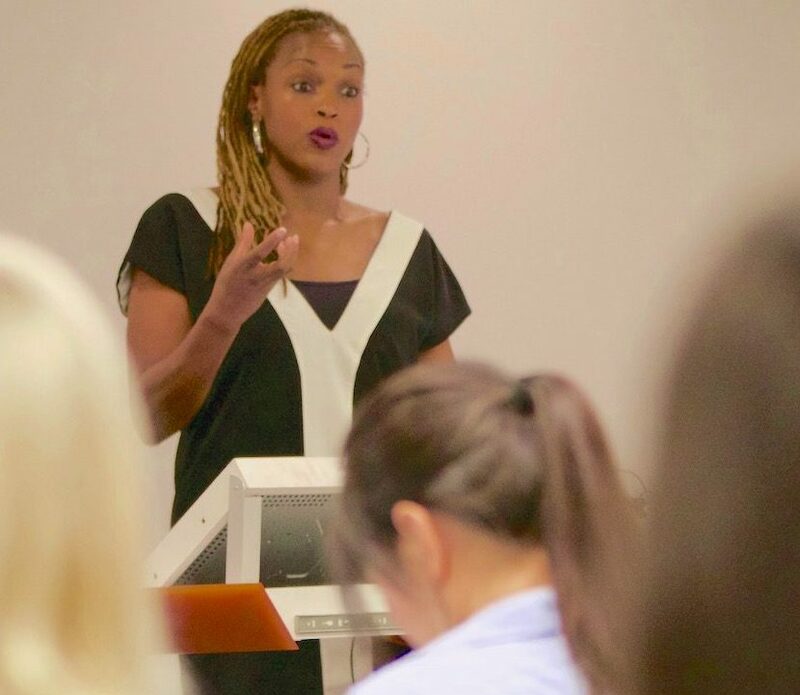 Public Policy student Rhianon Anderson is in her second year as a participant of the Senior Fellows porgram. This year she has been paired with Steve Soboroff, president of the Los Angeles Police Commission. 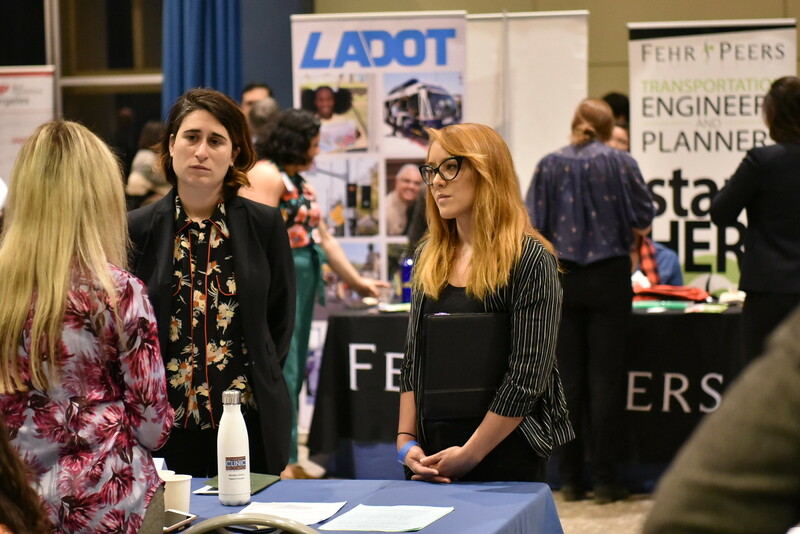 Anderson said she has hoped to be matched with Soboroff because he is successful in both public sector and private sector work – which is what she wants to do when she graduates. 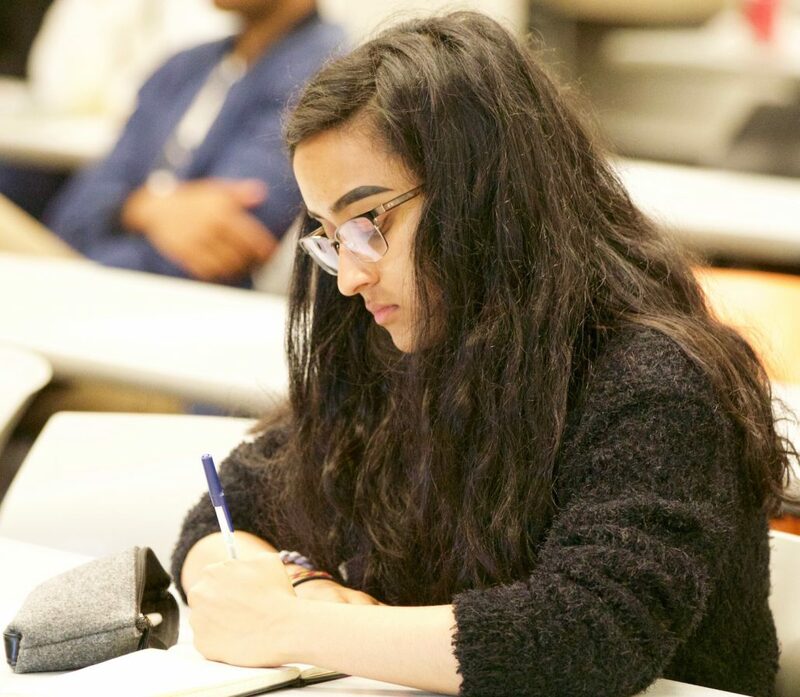 First year student Keren Mahgerefteh said she knew about the program prior to enrolling, and made it a point to attend the informational session once she got in. After seeing the name of her Senior Fellow, Thomas Epstein, on the list of possible mentors, Mahgerefteh decided to apply. Epstein’s experience matched up with what she hopes to do in the future. 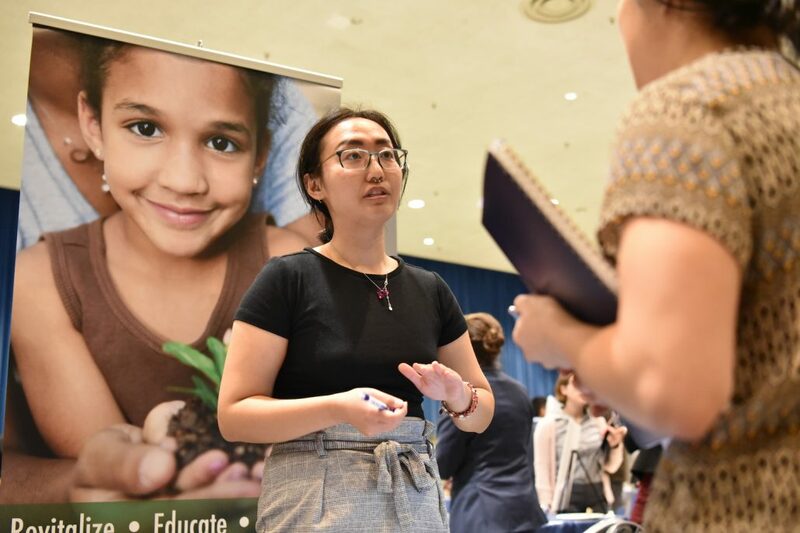 “I’m looking to see how it is to have a day on the job in health policy, see what Mr. Epstein does day-to-day and how I can get to where he is in the future,” she said. This is Epstein’s (JD ’76) first year serving as a Senior Fellow and he said he’s looking forward having meaningful conversations with students. He has experience both as a government affairs and communications leader for the Public Broadcasting Service and the Disney Channel, as well as experience working in politics as former special assistant to President Bill Clinton.